Here’s a new word for you that uses both Z (10 points) and X (8 points): ZAX. And I only had to use two of my own letters. ZAX: At least 19 points! I was pleasantly surprised when my play worked. The double-word score was a nice bonus. But what does the word mean? 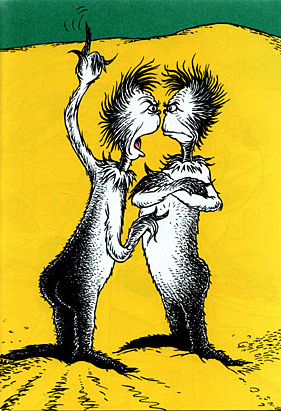 It couldn’t be the Dr. Seuss characters he called the Zax. 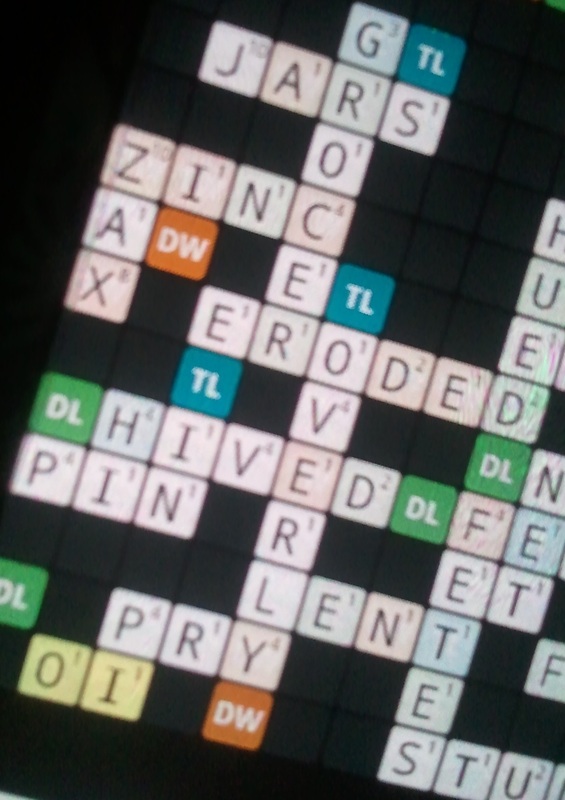 Wordfeud doesn’t accept proper names or characters from books. Even after the nice score, I couldn’t leave it alone. I had to look it up. Besides, what if my opponent asked me what it meant? I had to know what this special three-letter word was. I discovered a new wordexpanded my vocabulary! However, it’s not a word that I’ll ever use in a conversation. I’ll have to find a roofer first. “So, Mr. Rooferguy, you gonna use a zax on that roofing slate?” I don’t think so. What’s important is that I got *counting on fingers* 38 points for those three letters. (What? I’m a word girl.) My husband is laughing that I think that’s a big score. Sigh.